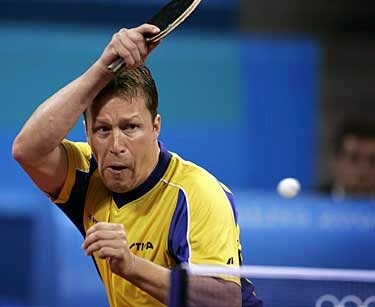 Recently, Vladimir Samsonov showed that age in table tennis really does have no limits. 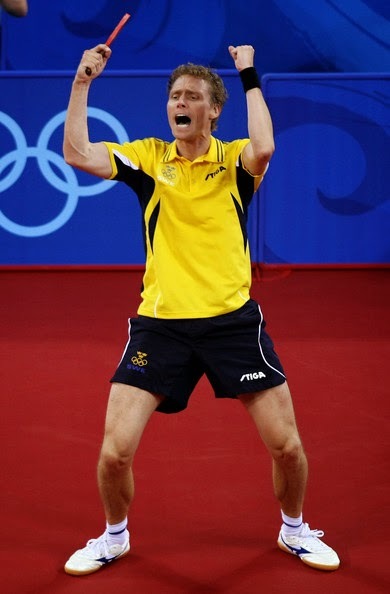 I recall writing a blog on Table Tennis Master about 'Why Samsonov Will Last the Long Mile' and I wasn't far wrong. 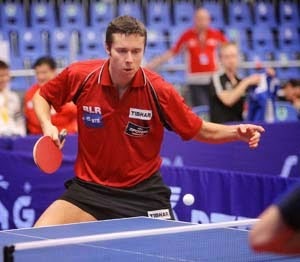 Vladi is looking as calm and collected as ever and still playing the same fluid, brilliant table tennis he always has. "I think I can still play well. 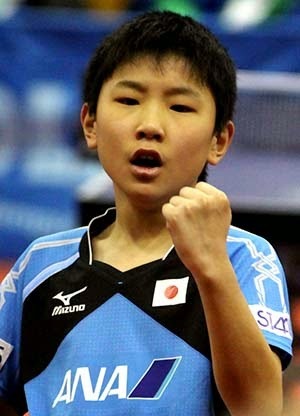 At least I still believe I can beat the best" Samsonov had to say after the Qatar Open. 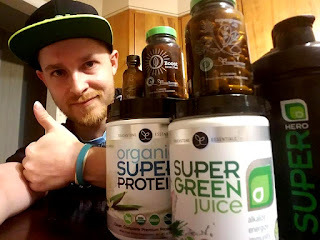 He credits his ongoing success to the support of his wife and children, family, friends and his coach of the past 6 years V.Shubin from Russia. After a string of great results, victory over Monteiro, Chuang and then Ovtcharov in the final, he is showing now sign of giving up, sighting future goals at the World Championships, European Championships and of course in his Club League Championships. There really is no saying how long Vladi could remain a top player in the world for, as he seems to be sustaining his level incredibly well! 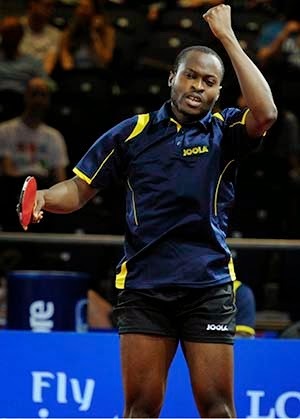 The success of Quadri Aruna in 2014 was unparalleled, resulting in his receipt of the ITTF Star Awards for Best Male Player and Best Point of 2014. Following his impressive ranking increase of over 150 places to the edge of the top 30 players in the world, the pressure to perform is stronger than ever. In the Kuwait Open ITTF World Tour Event 2015, Aruna was defeated by his Portugese league teammate Joao Geraldo, ranked outside the top 100 players in the world. Following in Qatar he faced a tough matchup against Bojan Tokic and also suffered defeat. Aruna says it is difficult to play alone and the support from a coach in his corner could help him perform at a much higher level. At the 2014 World Cup, Aruna had been fortunate enough to have the support of German Coach, Martin Adomeit. Now he finds himself in need of that support and is finding it difficult to get the support he needs to fund a coach to travel with him. "Playing without a coach makes life difficult, it's going to be great if I can have a good coach behind my back in upcoming tournaments. The support of German coach Martin Adomeit made a great difference during the World Cup in Dusseldorf, Germany" Aruna comments on his situation. As you can read in my interview, Pride of Africa Takes The World By Storm, there is a difficulty in getting support from the Nigerian Table Tennis Federation as the sport is not majorly funded there. Aruna is working tirelessly to try and secure further sponsorship to enable a coach to travel with him to important events. He is fortunate enough to be backed by Sengled for 2015 and by Equipment Giant Joola, but is seeking support for a travelling coach. As an embodiment of the fighting spirit of table tennis, an entertaining rallier and an outstanding performer he is a player we want to see succeeding on the world stage! One of the key skills of two greats of the sport, Jan-Ove Waldner and Zhang Jike, is their unique ability to hit their apex form at the most key major events in line with their biggest goals. 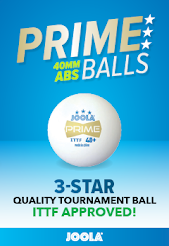 On the international stage, the grand slam events form the biggest tournaments that players will aim to win; the World Championships, World Cup and Olympic Games. See more from my Coaching Blog. These are qualities we should also aim to include in our own game, but often players find it difficult to hit their best form when it really counts. Of course it is not an easy skill to learn and sometimes it may not go to plan, but it is best to prepare to give yourself the best possible chance. So how can you plan to peak at major events and give yourself the best chance. Step 1: Identify the Events to Target. First you need to set the most important events out in your goals. They need to be your biggest focus within a given year. For example in New Zealand we have the North Island Championships (2nd biggest tournament) in May and the New Zealand Open in October. In the USA there is the US Open in July and the US National Championships in December. These events are spread apart which allows a period to build to peak level. Once you have identified your targets you can start breaking down your schedule to figure out how to work towards being in top form at the right time. This also involves working in smaller tournaments (short term goals work in here) to help with preparation. Step 2: Arrange Training According to the Phase of the Season. Each season begins and you should arrange your training to match. Your first priority should be to work on solidifying your basics and footwork, refocus back on the most basic and fundamental parts of your game. Here is when you should identify your strengths and weaknesses, this is very important. Earlier in the season is a good time to really focus on the weaker areas of your game, you want to iron these out and try and make them as strong as possible. Your 4 key fundamentals are; service, service receive, first attack and first block/defence. Strengths are going to be your big point scorers, you need to fine-tune your best techniques and tactics for winning points. 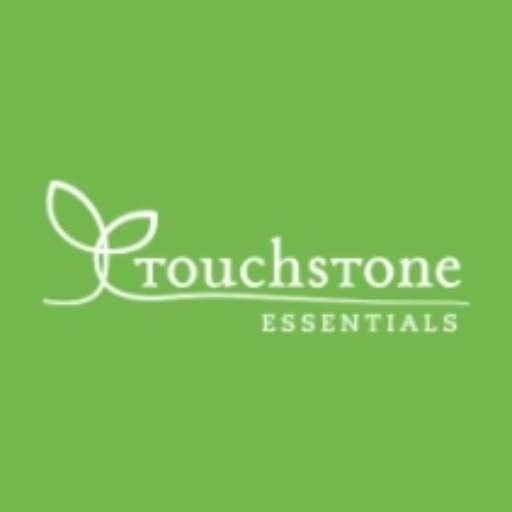 As you move towards your shorter term minor events these will be crucial in beginning to prepare your best match form. Once you start nearing smaller events which you will need to prepare the right kind of match scenarios for the major goal events, you need to bring the focus onto match practice. The fastest ever Grand Slam Champion, Zhang Jike. Your small events usually encompass small goals, i.e you may wish to win events or perform well in small tournaments as part of your season or your build-up to the major events. These matches are important for your ongoing evaluation towards the majors. At these events it is important to evaluate your performance and where your form level is. You can also identify where problems lay in matches whether it be with tactics, mental game, physical conditioning or techniques. The minor events should play a key role in your preparation. Whatever arises from your successes or failures in these events is where a large part of your focus should lie at this stage of the season. Why were you able to win matches? What restricted your success in matches? Were there particular styles you struggled against? What can be done to continue conditioning your game to reach your peak when it matters the most? 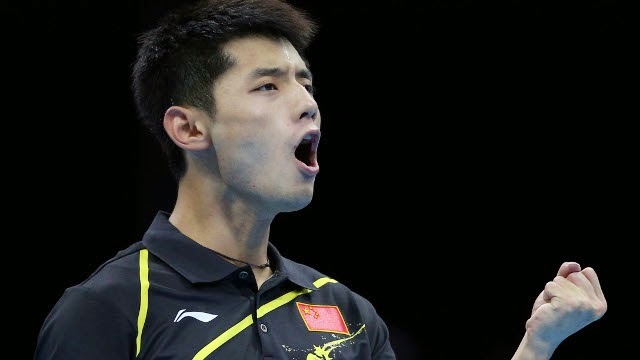 Usually it pays to aim for at least 2 peaks in a season, you will notice often players like Zhang Jike seem less concerned with some small events and more so with their performance at others. Everyone has a purpose in their season build-up for each event. After playing the first major event you need to identify whether your form is at a peak. Are you playing better now than at any other point so far during the season, is it table tennis you would identify as among your best? If so then you have achieved some success in the first major point of your season. If you felt you were playing better in a minor event, perhaps your peak was too early. You need to identify your mistakes in the major event if you weren't able to perform to the level you wanted. Was the mental pressure more than you expected? Were you coming down from a peak already? Had you not reached your peak yet? Using the first build-up as your guide, make alterations that are necessary in order to achieve peak at the right time. You could use the opportunity to consult a coach or training partner for their advice. You really need to know why you weren't able to hit your best form at the right time and start the process again in the build-up to your next peak. Often you will find players take a short break or have less intensity before beginning their second build-up. These may seem like obvious guideline but often players aren't specific enough with their training schedules and regimes. They go between tournaments trying their best to hit top form at each and every one, realistically this is very difficult to do and can hinder your ability to hit a strong peak at the most important times. It's very much like Tennis, we often saw Federer losing to Andy Murray and other players on the ATP World Tour, but he had an astonishing ability to peak for Grand Slam Events. This is an ability which distinguishes greats of sports from the large pools of other very good players. Hope this was helpful to some of you. Remember if you would like to submit a topic you can do so through my contact box or by sending me a message on my facebook page!